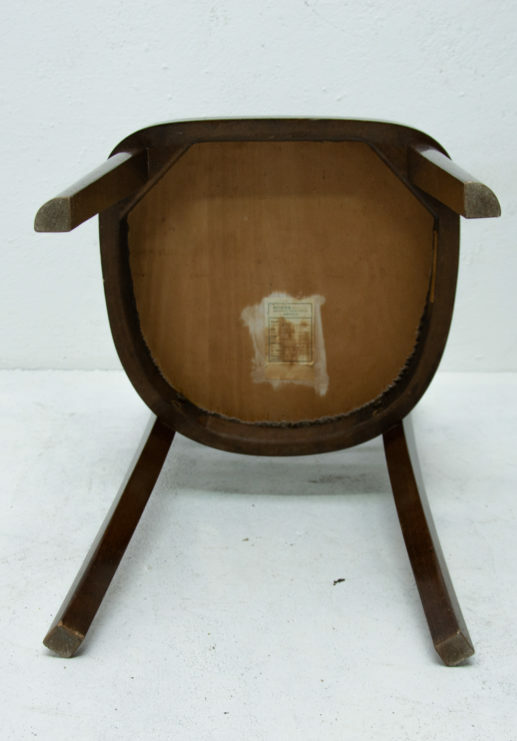 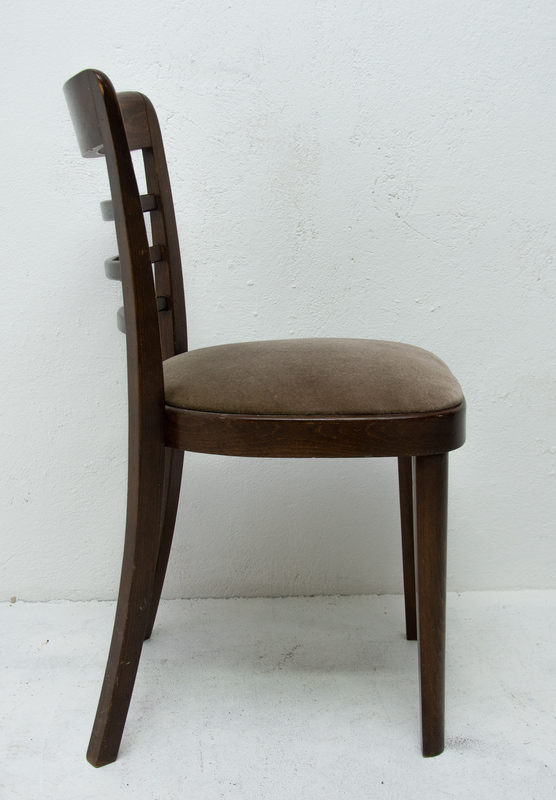 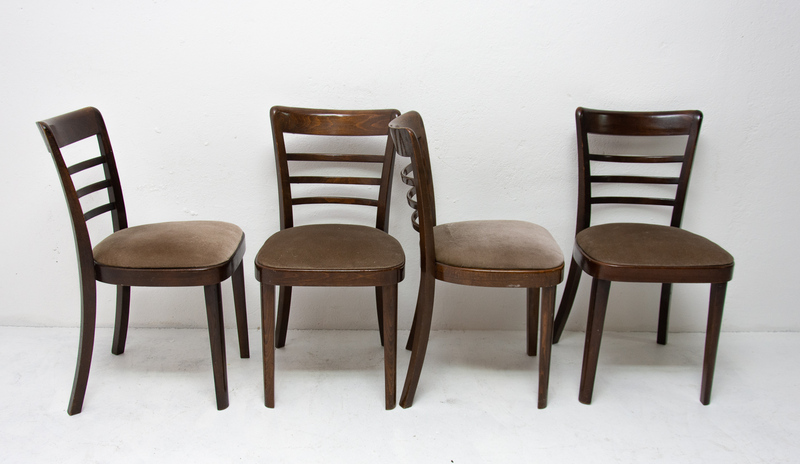 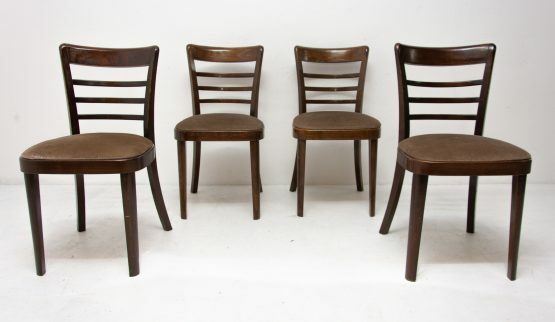 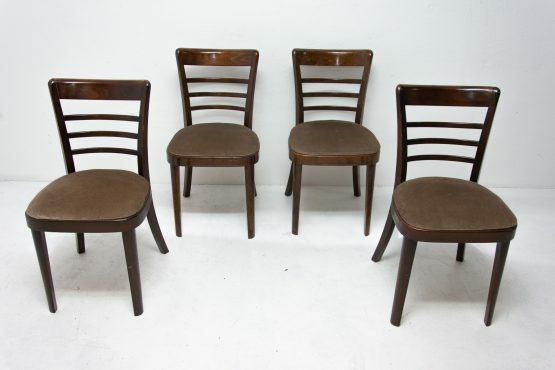 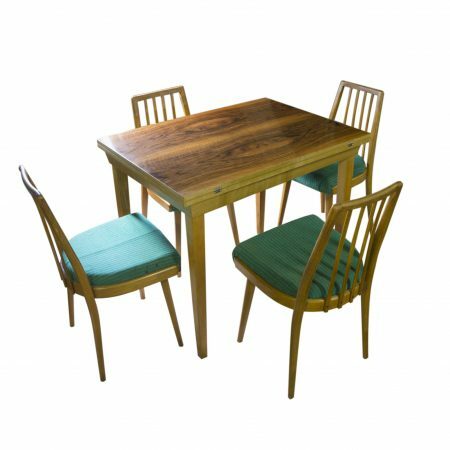 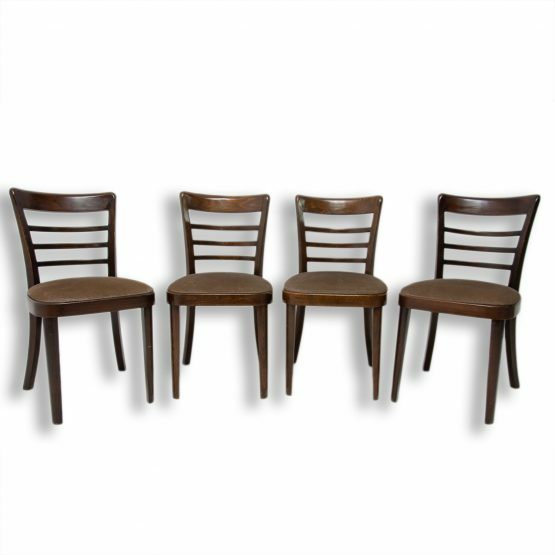 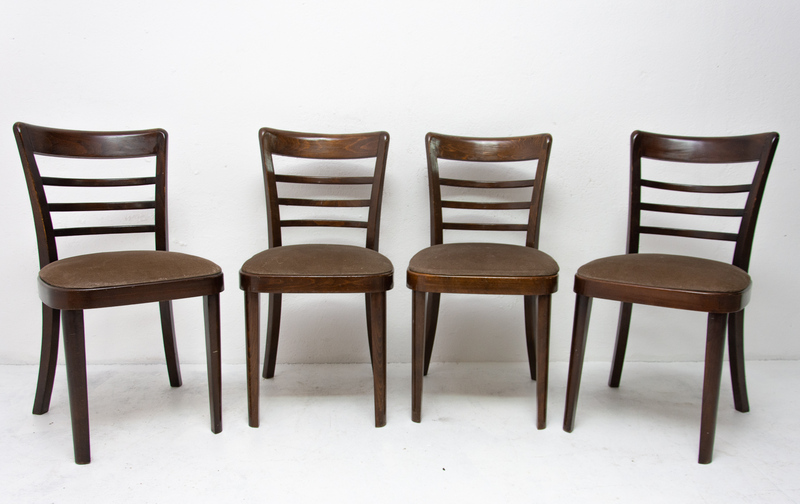 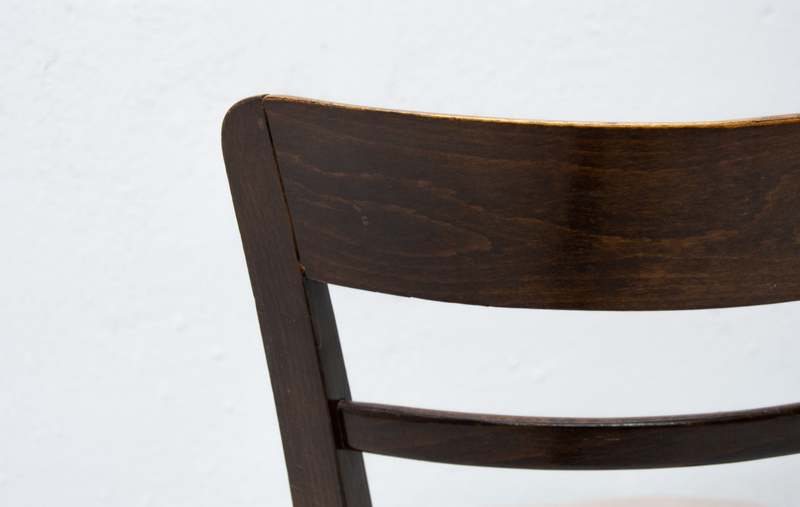 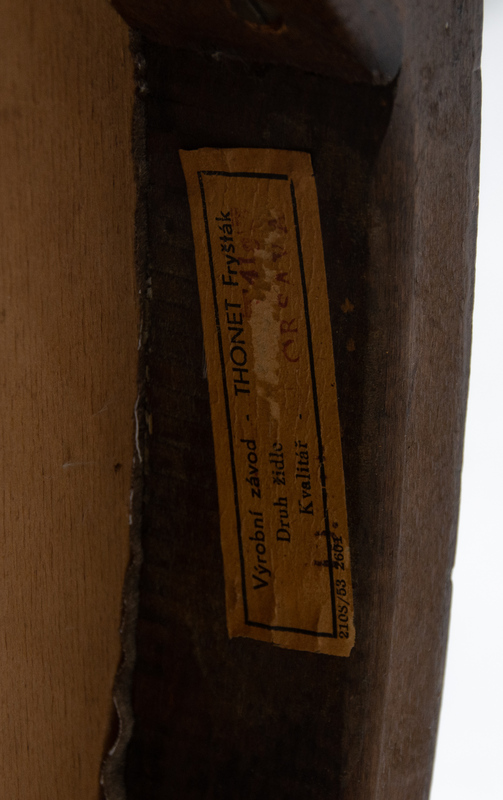 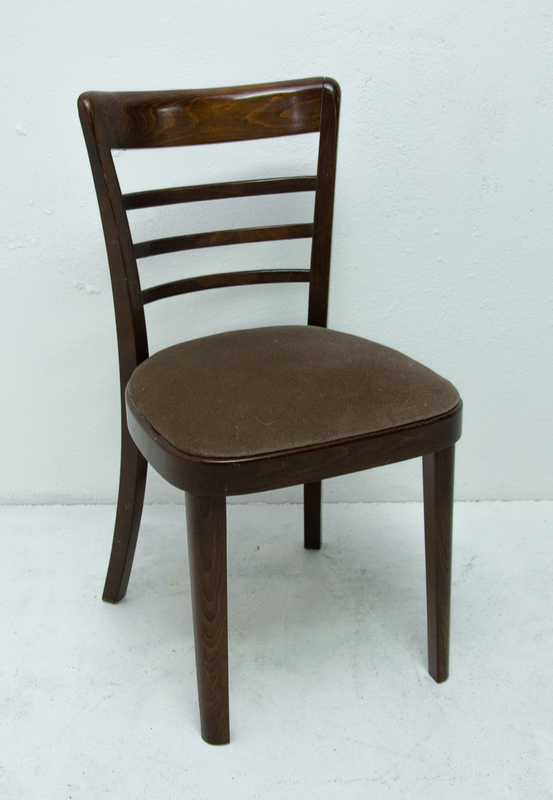 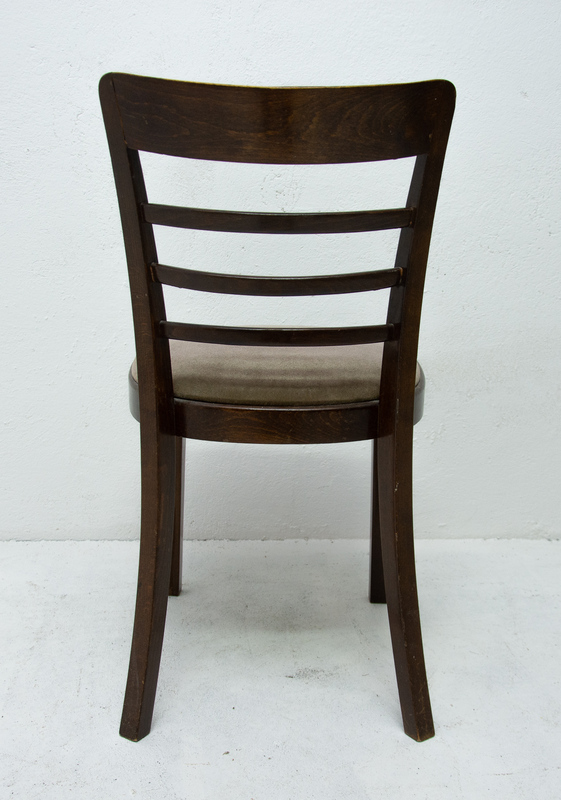 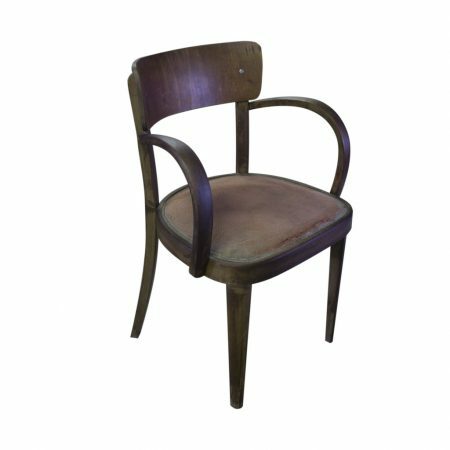 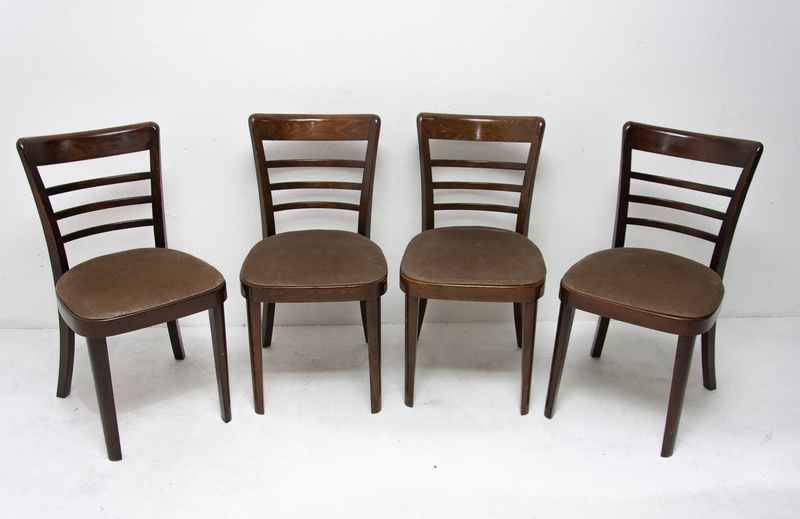 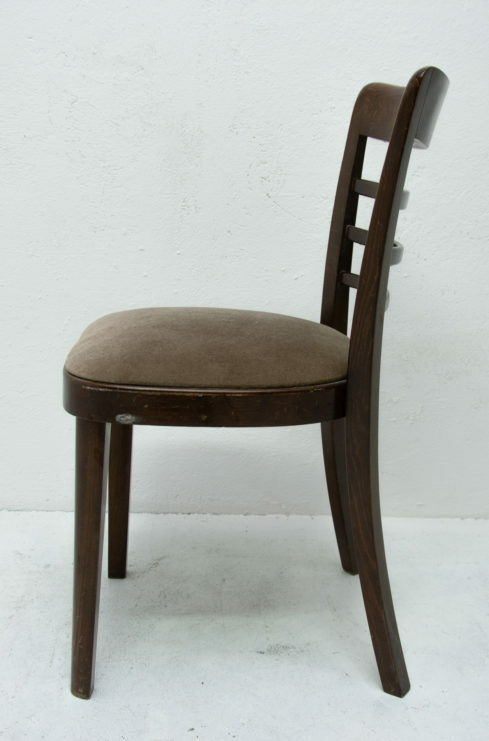 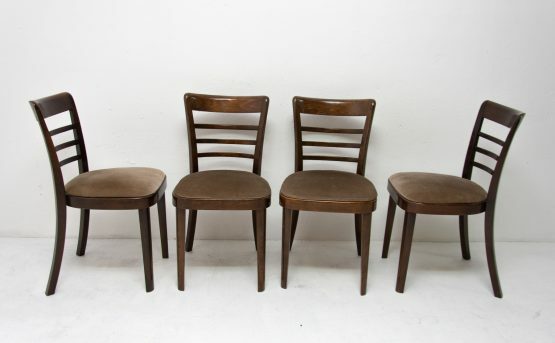 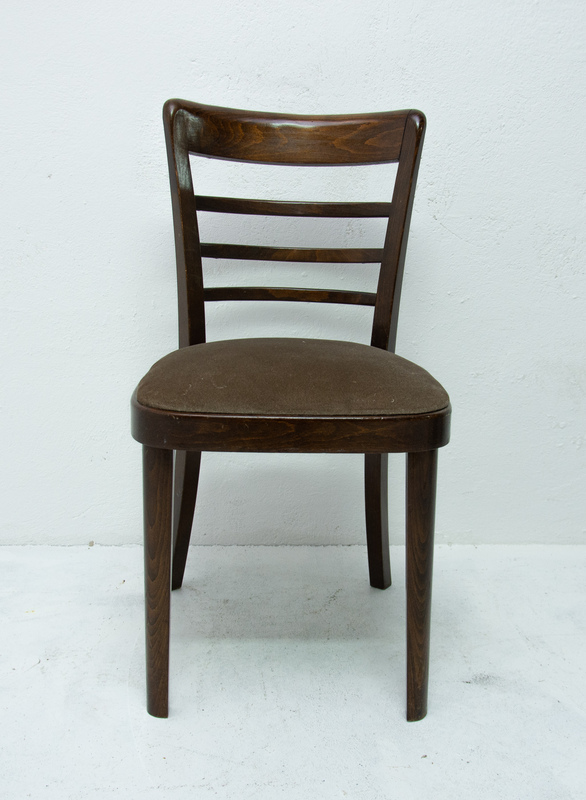 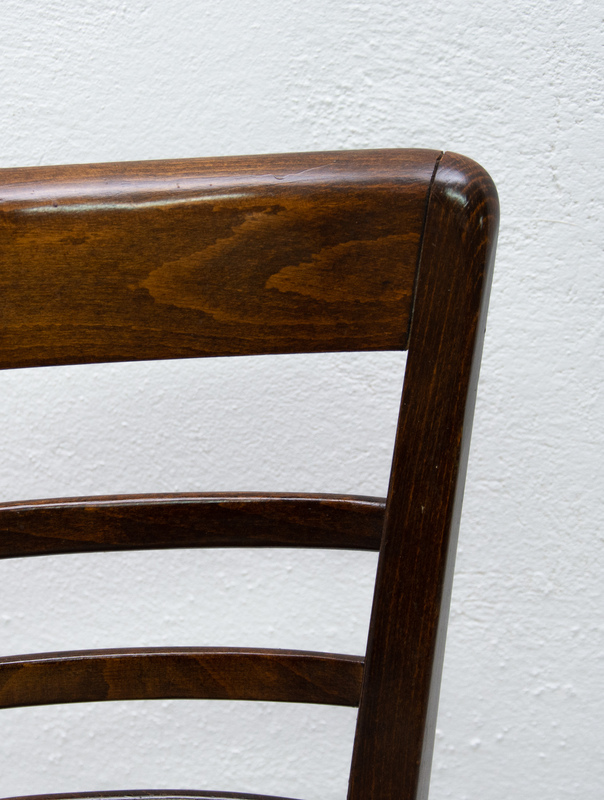 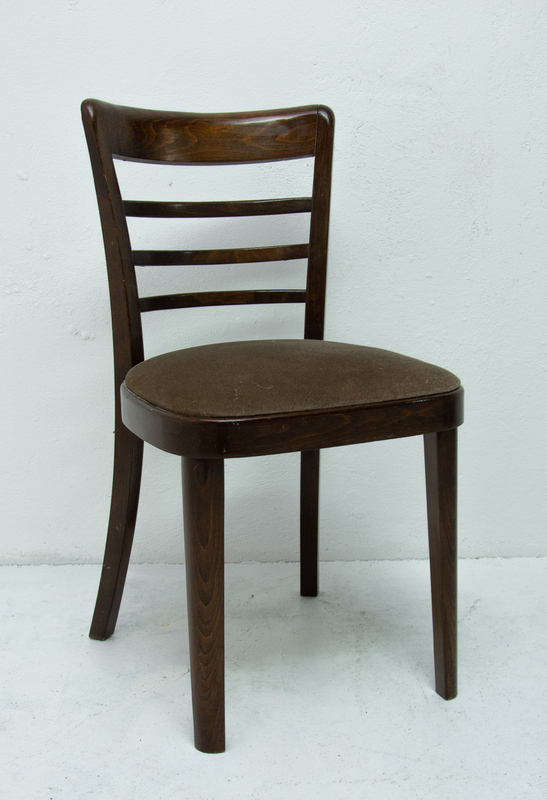 Set of four dining chairs, it was made by Thonet Fryšták in the former Czechoslovakia in the 1950´s . 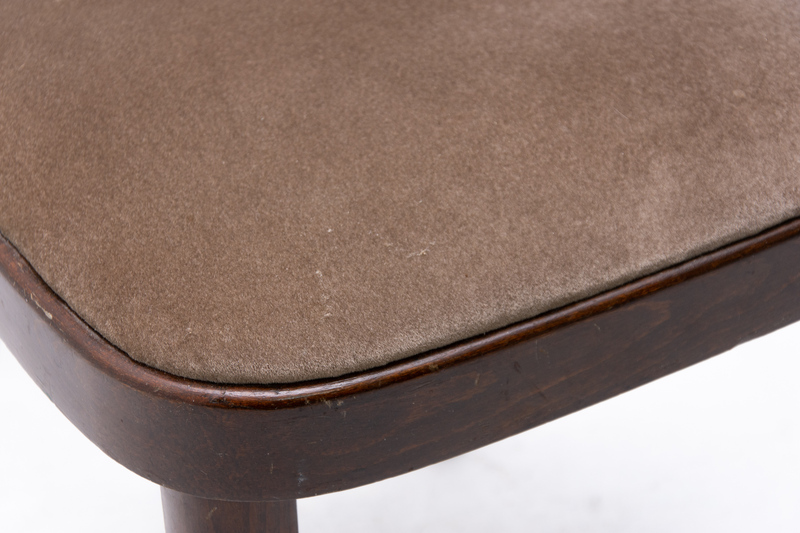 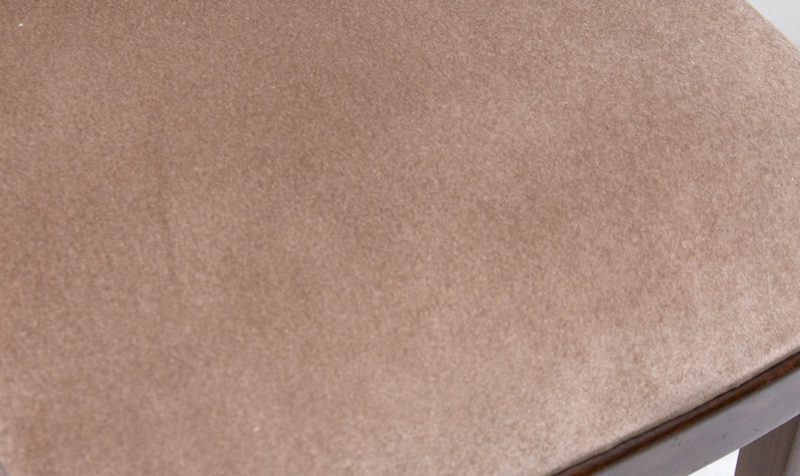 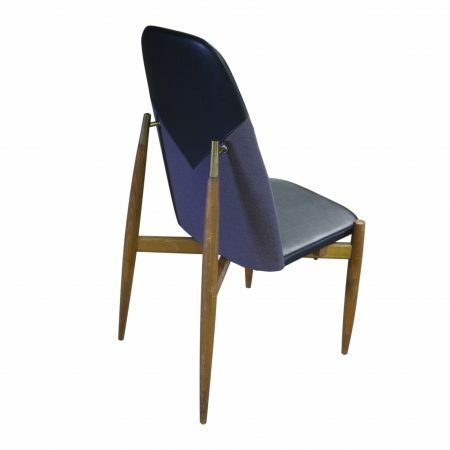 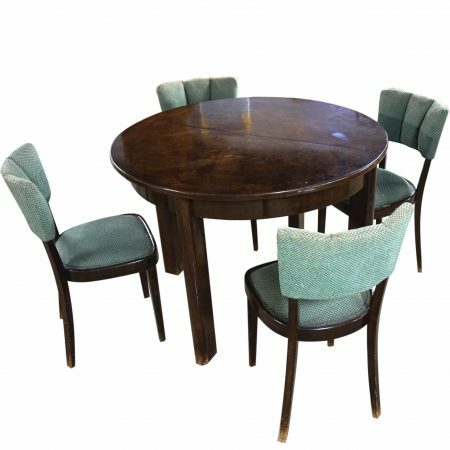 Features walnut veneer and upholstery in suede fabric. 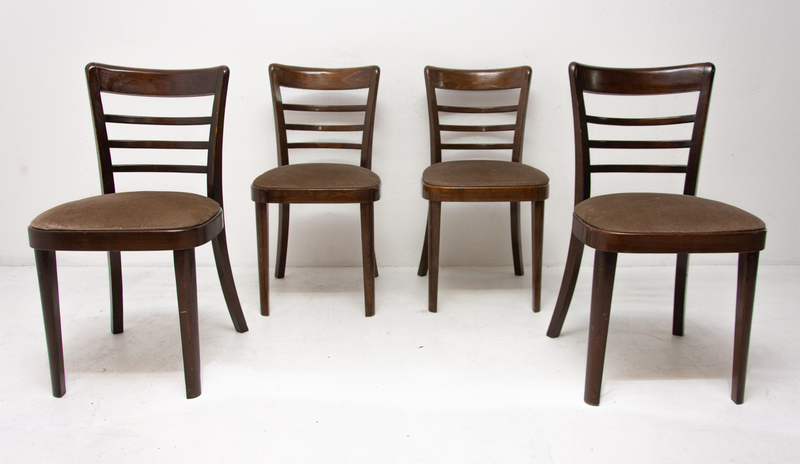 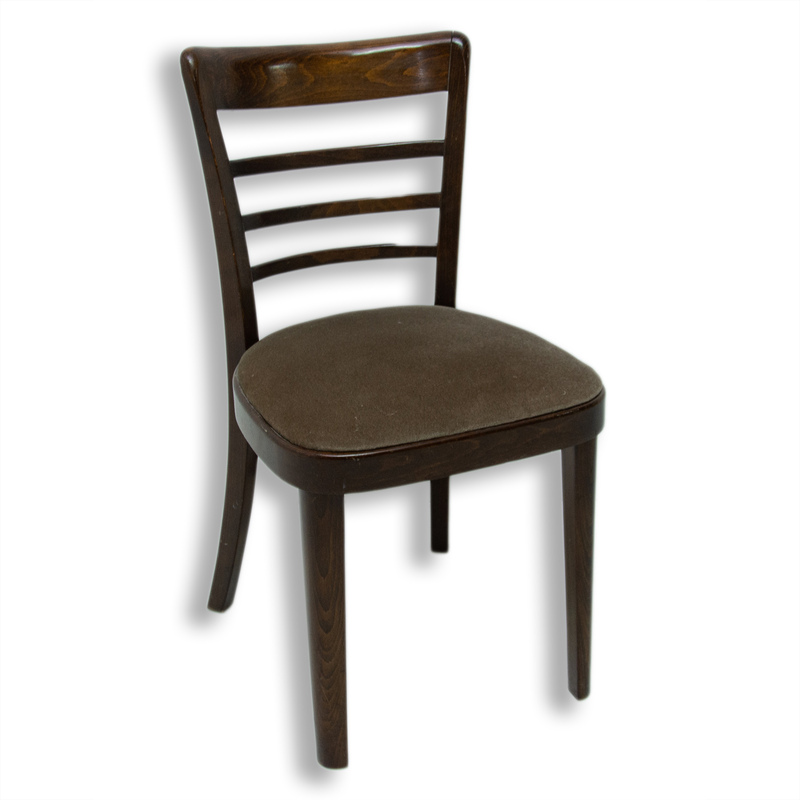 The chairs are in very good Vintage condition, with wear appropriate for the age of chairs. 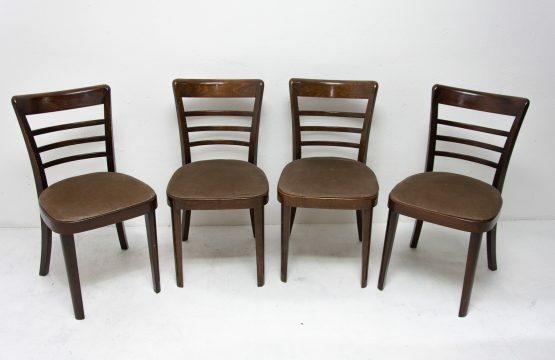 Price is for the set of four.